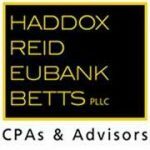 Haddox Reid Eubank Betts PLLC is a full-service firm offering assurance, tax, consulting, peer review, and client accounting services to individuals, privately held businesses, nonprofits, and governmental entities in Mississippi. Work For Haddox Reid Eubank Betts PLLC? Claim This Page.